“First-time homebuyers purchasing a home either through the Affordable Dwelling Unit (ADU) program or purchasing an existing market rate home can borrow up to 10% of the sales price or $25,000, whichever is less, at 5% interest. This loan (used for the down payment and closing costs) is in the form of a second trust, payable over a 30 year period with the first three years of payments deferred and interest free. Provides down payment and closing cost assistance for purchasing an existing single-family dwelling in Superior or Douglas County. Home buyers must meet income, eligibility, and affordability guidelines. Dwellings must meet (or be repaired to meet) program standards. 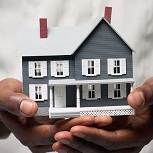 Assistance is provided in the form of a 0%, deferred payment mortgage loan. There is no monthly payment. 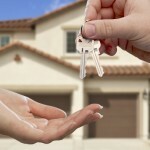 The loan is due upon sale or transfer of the property. 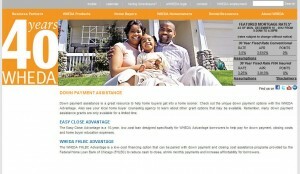 Home buyers must obtain first mortgage purchase financing from a local participating lender. NeighborWorks® Green Bay offers down payment and closing cost assistance to homebuyers who qualify and are purchasing a home in our lending area – in one of Green Bay’s Original Neighborhoods. We have several programs that can help you reach the American Dream! The home must be purchased in Green Bay’s Original Neighborhoods (see map). The mortgage loan cannot exceed 1.5% over the FFIEC’s rate for a 30-year fixed mortgage. 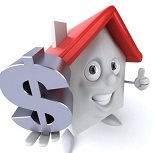 The buyer must contribute a minimum of $1,000 of his/her own funds toward the purchase of the home. 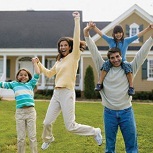 The buyer must complete NeighborWorks® Green Bay Homebuyer Education. A program fee and all recording fees will be included in your closing cost. This assistance (up to $2,500 based on household size and annual income) is made possible through funding received from the State of Wisconsin-Division of Housing. These grant funds are forgivable over the initial three-year period of owner-occupancy. 1. The tribal member requesting any assistance must be an enrolled member with the Ho-Chunk Nation. 2. The tribal member applying must be at least 18 years or older and legally competent. to receive any HOP funding. In the interest of providing tribal membership with a safe living environment. This entry was posted in Down Payment Assistance, First Time Home Buyer Grants, First Time Home Buyer Info, First Time Home Buyer Programs and tagged HCRIH Grant, Milwaukee HUD, WHEDA. Bookmark the permalink.